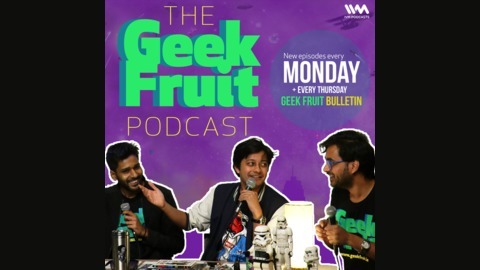 A COMMUNITY TO UNITE ESTRANGED GEEKS FROM ACROSS INDIA (LATER THE WORLD!) We spend way too much time discussing minuscule facts, character dynamics, story arcs and unique concepts in the wonderful world of science-fiction and overall nerd culture. Think you do that too? Find us and become one with the geeks! And believe it; the Force is totally strong with us. Dinkar is in a mood and has some games in store for Jaanam and Jishnu. Robert Downey Jr. is also about to talk to animals in a new Dr. Dolittle movie, but mostly Dinkar’s games. 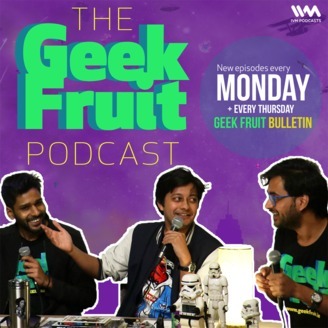 Follow @GeekFruitHQ on Facebook, Instagram and Twitter.